Based in Raipur (Chhattisgarh, India), we are indulged in offering dependable house keeping services to different sectors such as residential, commercial, industrial/factories, corporate, townships, and hotel. We have a team of experienced house keeping staff, who are well aware of their duties and responsibilities and fulfill each of them conscientiously. 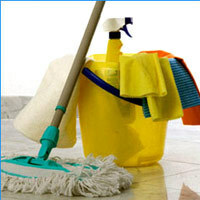 We train each house keeping staff as per the latest market demands. And, we run a thorough background check on everyone to ensure that they are reliable to work with. In addition to this, we complete the duty of police verification of our staff. Our services are professional, reliable and nominal.